Back in the day, as few as even 10 years ago, back surgery meant at least six weeks of bed rest and another six to eight weeks of painful, rehabilitative exercise. 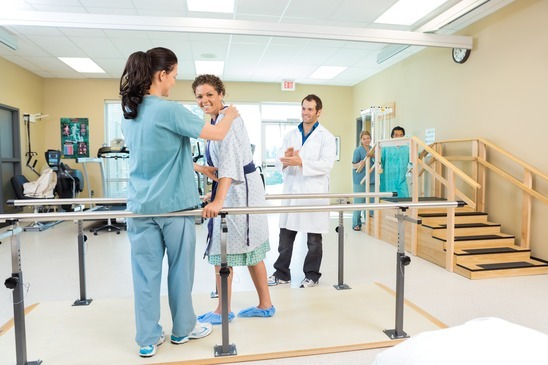 Back surgery rehab was a long-drawn-out process that you had to prepare for well in advance. Thanks to advancements in minimally invasive techniques that the doctors at the Southeastern Spine Institute (SSI) have perfected, your back surgery rehab often can begin after only one day of rest. Keep in mind, however, that everyone is different and every body reacts differently to surgery. The point is that back surgery does not have to keep you out of commission for long periods of time. Physicians who perform back surgery used to be compared to carpenters: they attacked every problem with a hammer. Today, the doctors and surgeons at SSI approach back problems with a multi-disciplined strategy. Every step is taken to avoid surgery. And when it’s necessary, the very minimum of harm is done to the surrounding muscle tissues, nerves and bones. Very often, your back pain can be treated with a same-day surgical procedure called a Micro Endoscopic Discectomy, which is performed on an outpatient basis. You can return home after a brief observation period. The procedure is so non-invasive, you can return to normal daily activities around the house within days. And depending on the type of work you do, you may be allowed to return within a week or two. If you have further questions, contact SSI by email or give us a call at 866-774-6350.